Many of our school teams rely on parents to coach, some of which haven't played Touch before, and/or haven't coached before. This page is just a starting point for these new coaches, providing some resources and links to help them on their way. There is a great Touch New Zealand ‘Touch Coach Connect’ website: http://www.touchnz.co.nz/ (it’s off the main menu), which has great resources. We recommend you do the free 30-45min ‘Foundation -Online’ course. 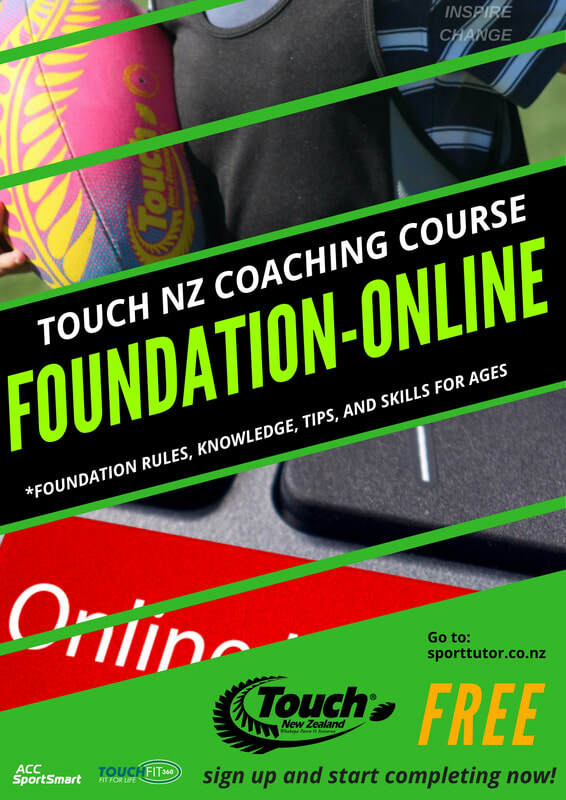 Touch North Harbour, our regional body, often run TNZ Coaching Courses - Introductory, Level One, Level Two. Go to www.touchnorthharbour.co.nz for more information. Below feel free to download our basic 'Practical Tools for the Beginner Touch Coach'. This includes coach responsibilities, skill focus at each level (Yr1&2, 3&4, 5&6), structuring a touch practice, drills, example training plans.